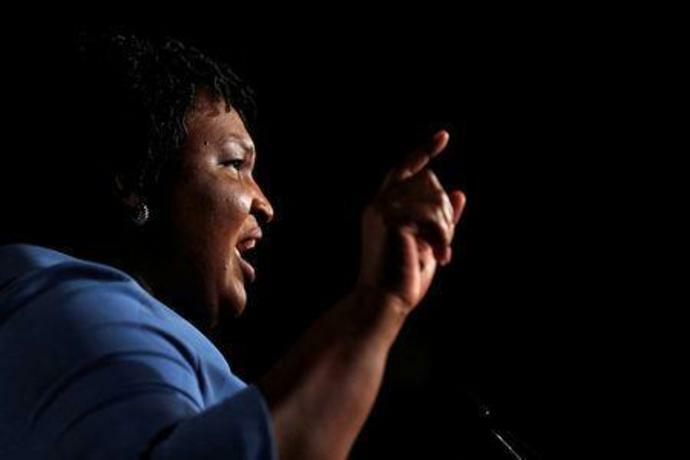 Georgia Democratic gubernatorial nominee Stacey Abrams speaks to supporters during a midterm election night party in Atlanta, Georgia, U.
WASHINGTON (Reuters) - Stacey Abrams, who narrowly lost Georgia's recent gubernatorial election, will deliver the Democrats' response to Republican President Donald Trump's State of the Union address next week, the top Democrat in the Senate, Chuck Schumer, said on Tuesday. "I'm very excited she has agreed to be the responder," Schumer told reporters, adding that he had asked her to give the response several weeks ago. The response is a rebuttal delivered by the opposing party. Trump will deliver the State of the Union address on Feb. 5. It was originally scheduled for Jan. 29, but that was postponed due to the partial government shutdown.